After years of excitement about the potential of artificial intelligence, the talk has turned to action. Companies around the world are now using AI systems to improve their business processes, enable proactive management of manufacturing facilities, streamline customer relationships and much more. Let’s consider a few examples of the creative ways in which the rubber is hitting the road in real-life AI implementations by Dell EMC customers. ZIFF Inc., a Utah-based startup company, is helping companies put AI to work to automate and streamline work that would otherwise be labor-intensive. This innovative company pioneered the development of a groundbreaking AI database for unstructured image, audio and video data. This database arms ZIFF’s customers with built-in indexing, search, training and inference capabilities for the type of data that doesn’t fit into the tidy rows and columns of traditional databases. The ZIFF database anticipates data consumption by automatically building out AI models using the image, audio and video data and metadata fed into it. Among the companies capitalizing on ZIFF’s AI database is Chatbooks, a scrapbooking company that builds physical scrapbooks from photos and information that users post on social media sites. For this work, the company leverages ZIFF’s AI database and its built-in deep learning capabilities to automate what would otherwise be a labor-intensive process. With the deep learning capabilities from ZIFF, Chatbooks can help its users quickly turn mountains of photos into beautiful books containing the images they most want to remember. 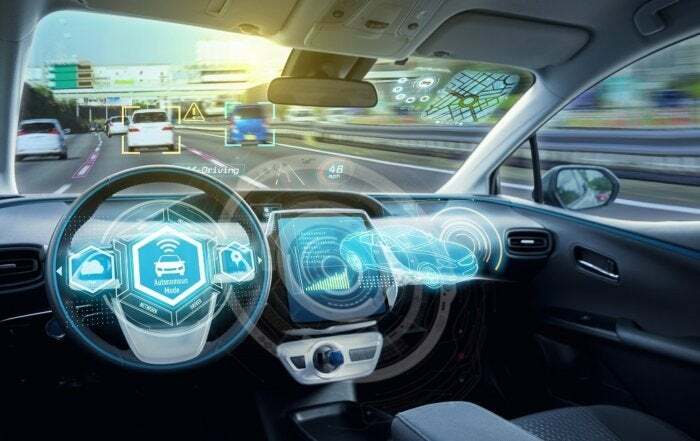 An exciting young company named Zenuity is developing AI-driven advanced driver-assist systems (ADAS) and autonomous-driving (AD) technologies that promise to take vehicle safety systems to a new level. Zenuity is a joint venture launched by Volvo Cars and Autoliv, Inc., a global leader in automotive safety systems. The company delivers a complete software stack for ADAS and AD, including algorithms for computer vision, sensor fusion, decision making and vehicle control, along with applications that run in the cloud. In a novel twist, Zenuity is developing its software system technology with HPC-as-a-Service, rather than using in-house systems. This new approach to consuming HPC resources gives Zenuity a great deal of agility. Drawing on proven Dell EMC infrastructure and products from VMware and RSA, Zenuity has what it needs to store and analyze petabytes of data quickly and easily, manage the rapid growth of unstructured data and overcome some of the challenges brought by new compliance requirements. Mastercard is fighting fraud with AI technologies powered by high-performance computing systems from Dell EMC. The company, which processes 160 million transactions per hour, leverages machine-learning algorithms to identify and stop fraudulent transactions in real time. In a matter of milliseconds, these algorithms apply 1.9 million rules to examine each transaction, according to Nick Curcuru, vice president of the big data practice at Mastercard Advisors. The machine-learning algorithms examine things like a cardholder’s buying habits, geographic location and travel patterns, along with real-time data on card usage. What are they trying to buy? Where are they shopping? What else have they bought today? Transactions are analyzed in the context of typical valid and fraudulent transactions. That’s AI in action. Want to hop on this AI train? Mastercard is now opening up its proven AI platform to the wider industry via its AI Express program, announced in June 2018. The AI Express program is designed to help companies address key business priorities, including anti-money laundering, fraud risk management, cyber security, credit risk prediction and operational efficiencies, according to a Mastercard news release. “If data is the oil that powers the digital economy, artificial intelligence is the refinery,” Ajay Bhalla, chief security solutions officer at Mastercard,” said in the news release. That’s a quote you’re likely to hear again and again in the years to come — because it is spot on. Now consider the lifesaving work being done by the Translational Genomics Research Institute (TGen). TGen’s Center for Rare Childhood Disorders is helping researchers discover gene mutations with a fast, powerful HPC cluster based on the Dell EMC Genomic Data Analysis Platform, the predecessor of today’s Dell EMC Ready Bundle for HPC Life Sciences. This cluster, powered by Dell EMC PowerEdge™ servers with Intel® Xeon® processors, runs extremely complex algorithms that analyze terabytes of genetic and molecular data at speeds unimaginable in the past. TGen’s Center for Rare Childhood Disorders is confident that it can use its HPC cluster to facilitate new research going forward — and give new hope to patients and their families. Examples like these could go on and on, because AI is now everywhere. And in some good news for organizations large and small, AI systems are becoming much easier to deploy. With offerings like the new Dell EMC Ready Solutions for AI, organizations can accelerate their AI initiatives with validated hardware and software stacks that can be deployed in a matter of days. Offerings like these are sure to accelerate the adoption of AI systems for new use cases. To explore additional use cases for artificial intelligence, and to learn more about Ready Solutions for AI, visit http://www.dellemc.com/readyforai. ZIFF, Inc. news release, “ZIFF, Inc. Announces Unstructured AI Database Product Release,” April 24, 2018. Autoliv news release, “Autoliv and Volvo Cars Autonomous Driving Joint Venture Zenuity Starts Operations,” April 18, 2017. Dell EMC article, “Making It Real: Taking HPC to a New Level with Zenuity,” April 25, 2018. Nick Curcuru, Interview with theCUBE conducted at Dell EMC World 2017. Mastercard news release, New Mastercard Service Speeds Adoption of Artificial Intelligence, June 4, 2018. Dell EMC article, “Why HPC Matters: The Power to Save Lives,” March 2, 2018.